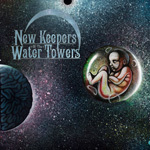 New Keepers of the Water Towers have come a long way in seven years. Starting as a power duo, the band has doubled to a four piece band, five if you include their live synthesizer guy. 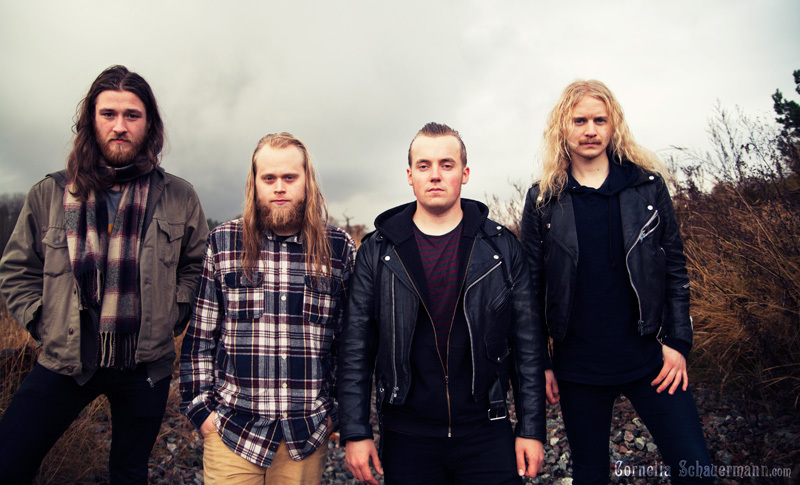 More dramatically they have evolved from a band merely mimicking the doom and stoner music of their native Stockholm scene into a more adventurous, and interesting, progressive rock band. New Keepers of the Water Towers: looks cold. Cosmic Child, their third album, is a delightful, sometimes strange, sometimes wistful, brew of many elements. Certainly New Keepers haven't forgotten their doom roots as there's a bit of darker feel at times. You'll catch this at the start with The Great Leveller, but it get minimized the rest of the way. Largely their sound embraces early prog rock, circa the Seventies and, with the ethereal atmospheres created, space rock of the same era. The music is honed and deliberate but also expansive and fluid. 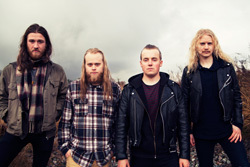 A listener would not be surprised if New Keepers became some hybrid psychedelic progressive rock jam band when performing live. You might get this sense from Visions of Death, likely the most varied of arrangements, or the longer epic Lapse. The feeling also may come from the fact that the vocal arrangements are quite understated; the music is certainly the centerpiece here. As it should be, simply because it surrounds you and entwines you in it's many and lavish chords like a runaway ivy embracing a large tree. More to the point, all the songs sound really good, keeping you both interested and entertained. Though I doubt the sound of Cosmic Child will be New Keepers of the Water Towers's final destination, they are certainly on course to greater things. Very recommended. Cosmic Child is a strong album of progressive rock, blending varied elements of the classic tradition with doom, stoner, psychedelic, and space rock.